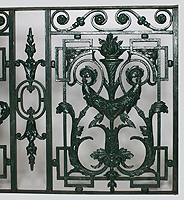 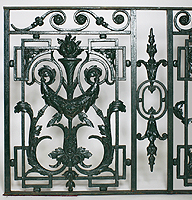 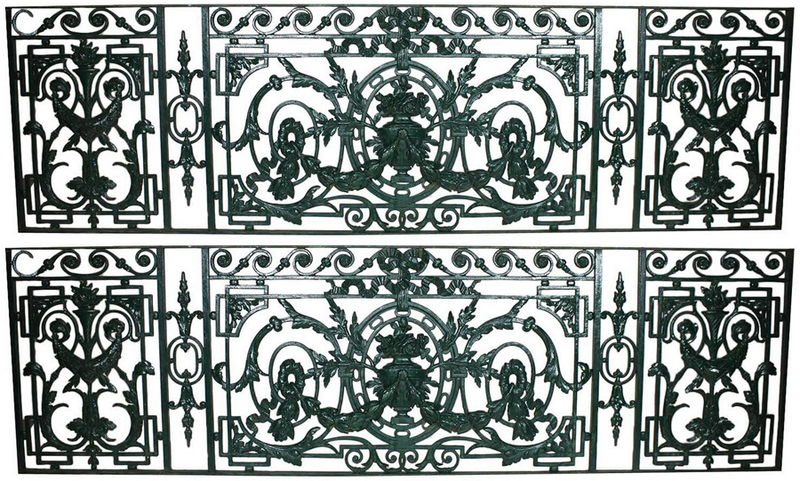 A Pair of Large and Rare French Architectural 19th Century Louis XV Style Cast-Iron and Wrought Iron Balcony Railings - Balustrades, removed from a French Château. 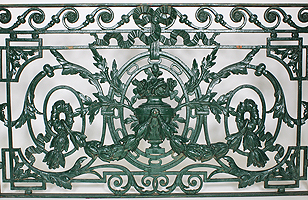 The long three-section balconies centered with an allegorical urn with flowers surmounted with tree branches and leaves, wreaths, scrolls, acanthus and ribbons. 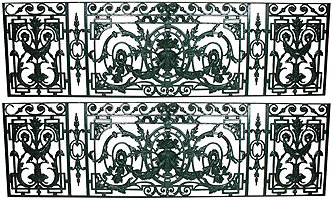 The side panels each with a burning torch above scrolls, leaves and acanthus joined with a wreath. 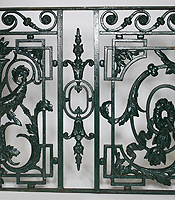 Circa: 1880-1890.